Option D, image courtesy of the City of Boulder. 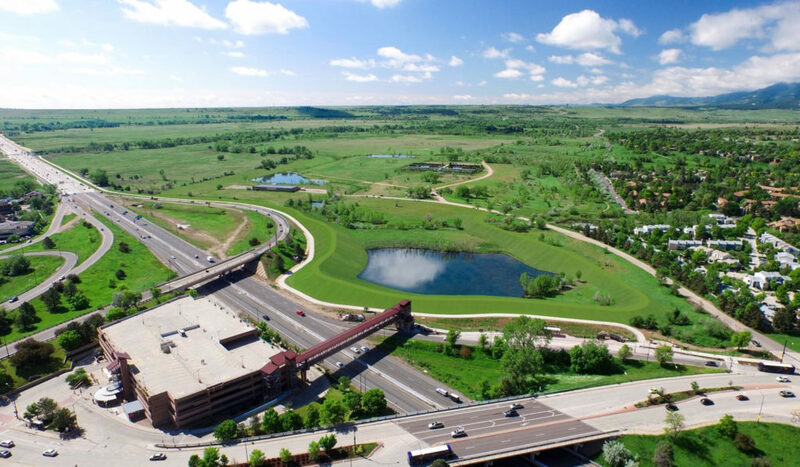 The South Boulder Creek Action Group supports the City of Boulder collaborating with the University of Colorado and the Colorado Department of Transportation to implement Option D, the City’s flood mitigation plan for South Boulder Creek. In August 2015, after years of analysis, Boulder’s City Council voted unanimously to accept Option D on the advisement of its Water Resources Advisory Board and Open Space Board of Trustees. Option D was one of many options considered. Considerations included engineering and design, cost, benefits, habitat and endangered species preservation, public safety, and others. 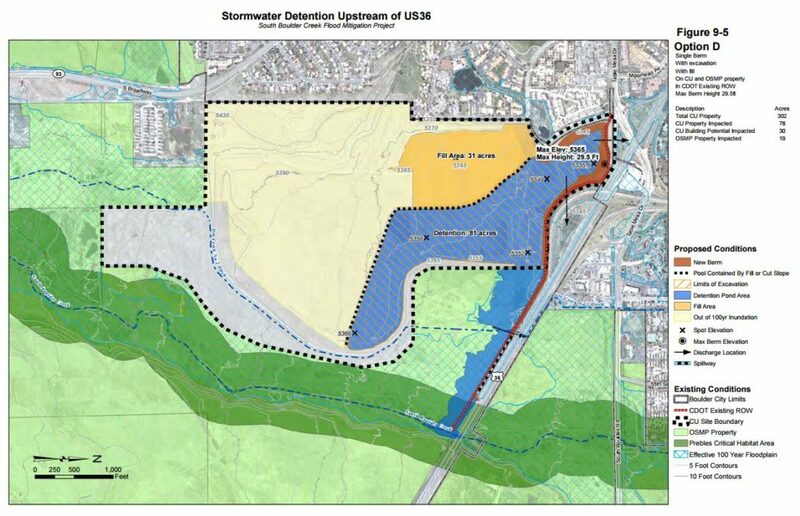 After almost twenty years of unsuccessful attempts to address South Boulder Creek flood mitigation, this is the first time in the long history of the project that three willing partners – the City of Boulder (flood mitigation sponsor), CU (landowner proposing eighty-plus acres of flood detention), and CDOT (landowner proposing berm construction within the U.S. 36 right of way) – are ready and willing to implement the project. Given the very real problems that beset past efforts and designs, including unwilling landowners and potential impacts to environmentally sensitive areas, the South Boulder Creek Action Group views this interagency collaboration as an extremely unique situation, and one we fully support. The implementation of Option D upon the annexation of the CU South property presents one of the best opportunities to finally resolve a critical health and safety issue for thousands of Boulder residents now in harm’s way. For more information, including history, maps and other options studied, check out the City of Boulder’s South Boulder Creek Flood Mitigation Plan Summary.